Mr. Richey is licensed in both Louisiana and Georgia. His Associate, Chris Hatch is licensed in both Louisiana and New Mexico. Our Firm frequently appears in City, State and Federal District Courts throughout Louisiana, including Caddo, Bossier, Webster and DeSoto Parishes and the United States District Court for the Middle and Western District of Louisiana. 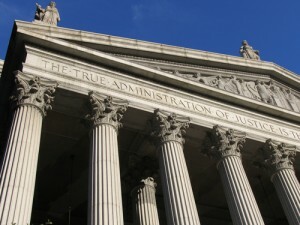 Firm members are also admitted to practice before the United States Supreme Court, The Court of Appeals for the Fifth and Eleventh Circuits, The Louisiana Supreme Court and all Louisiana Courts of Appeal. Learn how we prosecute an Accident or Injury Case. . . Learn what you need know about Attorney Fees & Expenses. . . Learn how we defend a Criminal Case. . . Learn what it takes to build a successful Defense. . . Links to Courts where we regularly practice. . .